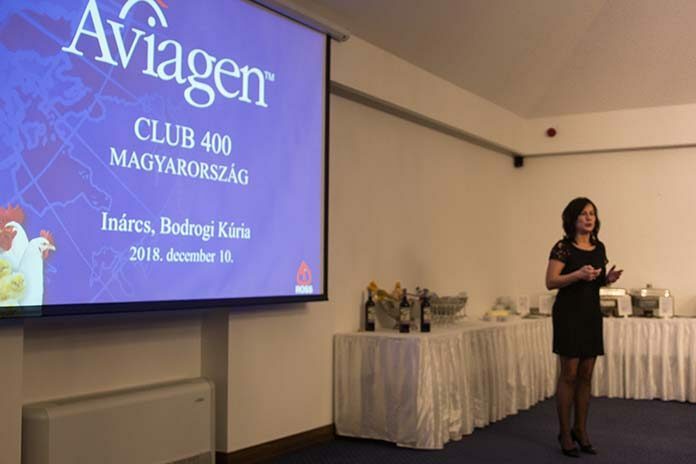 Hungary sees steady growth in new club members. 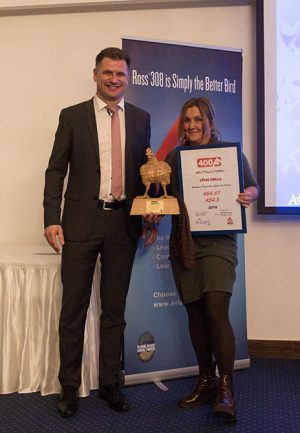 Aviagen® Kft is proud of its Hungarian Ross broiler producers, and for good reason. 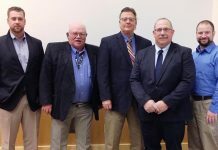 While 2017 saw 24 new members with 36 flocks, in 2018, the company welcomed 26 new inductees with 68 flocks into the prestigious Ross® 400 Club. 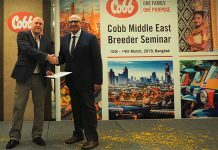 Membership is reserved for growers who, through skillful stockmanship and dedication, are able to maximize the genetic potential of Ross birds, reaching a European Performance Efficiency Factor (EPEF) of 400 or more. EPEF takes into account important Ross performance indicators such as body weight, livability and feed efficiency. 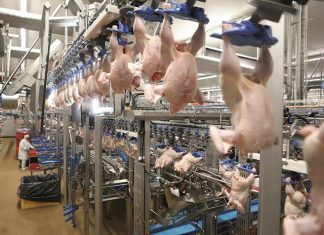 For this latest round of awards, data was collected for broiler flocks depleted between December 2017 and November 2018. Results were taken from five feed mills (Agrifirm Zrt., Bonafarm Bábolna Takarmány Kft., MA-KA Kft., Napsugár Trade Kft. and UBM Kft.) and four hatcheries (Bábolna Brojler Kft., BroKerBét Kft., Gallus Kft., Nagisz Zrt.). During a recent award ceremony, Aviagen Kft. General Manager Balazs Takacs, along with Krisztina Németh, Sales Manager, and Csaba Horváth, Technical Manager of the Aviagen Kft. customer support team, welcomed 70 attendees from 26 companies. The impressive EPEF scores ranged from 400.36 to the highest of 464.68, reached by Lévai Csilla. Taking second and third place respectively were Empire Kft and Bojtos-Lukács Dóra. Previous articleCan xylanase inhibitors affect the efficacy of xylanases in poultry diets?